The new design presents us a video slot with Orbital ReelsTM breaking with the classic vertical reels and standing out over any other company in terms of innovation, betting for a change in the world of the Online Casino. The music effects, stunning graphics, the well-studied features and the excitement keep the player entertained in every game stage. 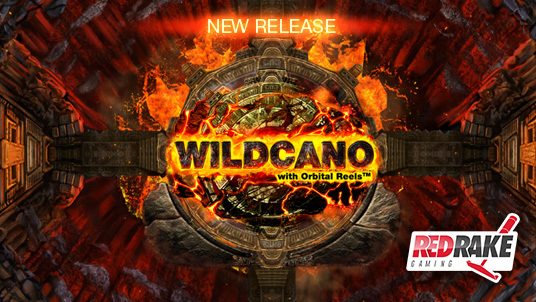 The player is immersed from the beginning in a great adventure in a desert island with a mysterious volcano and will face the WILDCANO god in a memorable free spins phase. Once again, Red Rake Gaming creates an innovative video slot game and stands out among the best gaming industry developers because of its creativity, detailed design and original features that offer the player a fresh and unique experience.